Weekly sessions from June 3rd to July 26th, each of which take place Monday through Friday from 8:30am to 5:30pm. Space is limited to a maximum of 10 participants per session. 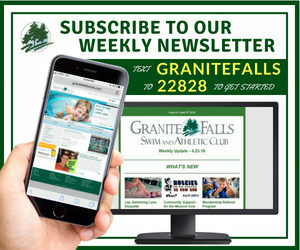 Granite Falls is offering an exciting new program for youth ages 11 to 14 years old that provides an inside look at what it’s like to become a lifeguard, swim coach and swim instructor. Participants who enroll in this program will receive instruction in water safety, leadership skills, teamwork, decision-making skills, water fitness, first aid, CPR and basic life-saving skills while apprenticing with working coaches, instructors and lifeguards. 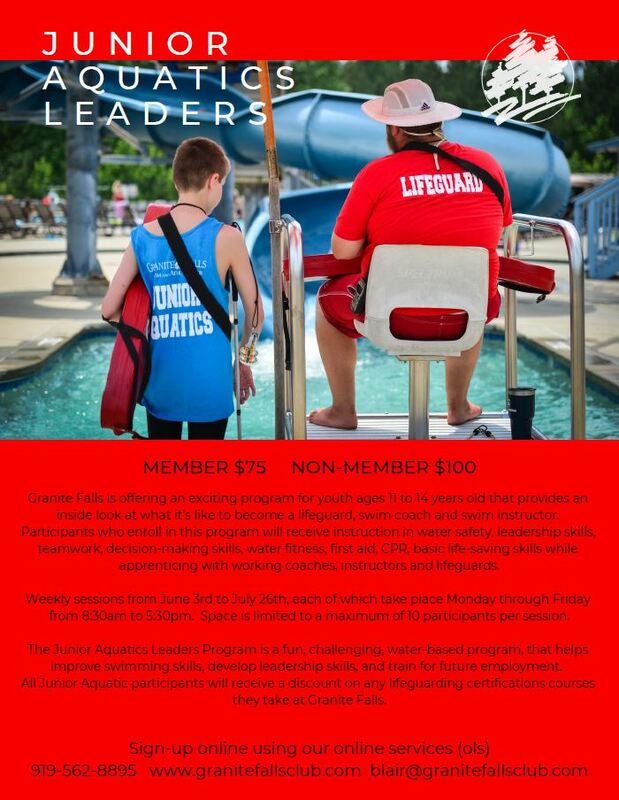 The Junior Aquatics Leaders Program is a fun, challenging, water-based program, that helps improve swimming skills, develop leadership skills, and train for future employment. All Junior Aquatic participants will receive a discount on any lifeguarding certifications courses they take at Granite Falls. SIGN-UP online using our online services.